HCDC Counselors contribute to CMEE’s Family Fair! 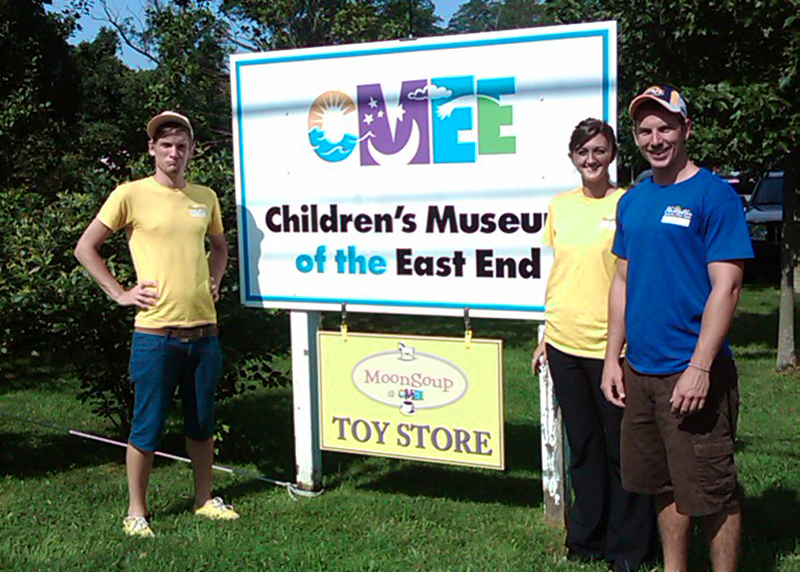 Hampton Country Day Camp counselors volunteered their time this past weekend to help run various fun games and activities at The Children’s Museum of the East End‘s Summer Family Fair. The CMEE is a non-profit museum located in Bridgehampton that strives to create a space for families to actively share in their children’s growth. This wonderful place of discovery was designed to provide interactive experiences that foster curiosity in children and create a lifelong love of self-directed learning. It was a great day all-around with many Hampton Country Day Camp families in attendance! To read more about this great event, click here!